In recent months, there has been an intense media and policy vortex surrounding the questions of when and how children – especially those under 13 – should gain access to popular online sites like Facebook. 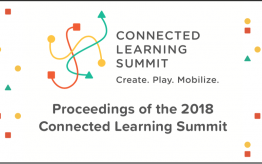 The outcome of these cultural and political conversations will have a profound effect on key components of connected learning from values such as full participation and social connection to activities that are peer-supported, interest-powered, and openly networked. The focus on age as a metric for assessing the appropriateness of children’s online interactions primarily comes from several historical sources, including alcohol and drinking laws, movie and videogame rating systems, and most specifically the 1998 Children’s Online Privacy Protection Act (COPPA). COPPA requires all commercial website operators in the United States to obtain verifiable parental consent before collecting personal information from children under 13. Recently, the Federal Trade Commission has been reviewing the effectiveness of COPPA, and Congress has been holding hearings and introducing bills such as “The Do Not Track Kids Act of 2011” – all with the intention to raise the level of scrutiny concerning companies that collect information about children. For years, Facebook and many other popular online sites have responded to this scrutiny with an outright ban on accounts for children under 13. However, as numerous studies have shown, millions of under-13s are ignoring or circumventing these prohibitions and hopping the fence to join the party, often with the help of parents and friends. 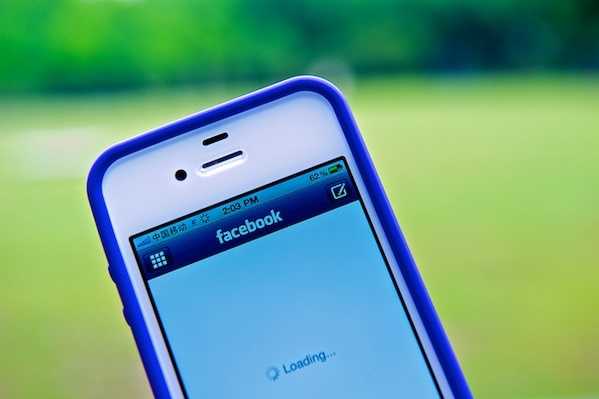 Recently, Facebook announced that it would explore options for offering under-13s access, perhaps in light of this trend. This triggered several concerned responses, including a congressional letter of inquiry. So how should proponents of online learning engage these questions? We know from a robust body of existing research that efforts to eliminate choice and exploration in youth activity have the unfortunate side-effect of limiting opportunity and learning or forcing young people to engage in activities “under the radar” of adult oversight. We also know that policies that limit access to knowledge and relationships disproportionately impact children and youth who are dependent on public access infrastructures through schools, libraries, and other community institutions. If young people are not supported in accessing learning-relevant content and relationships online, they are limited in their ability to pursue knowledge and interests. In order for young people to become effective learners and productive citizens in today’s networked age, it is critical that they are able to exercise agency as well as be supported in making wise choices as to their online participation and how they manage social relationships online. 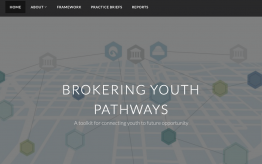 Online information and social communities provide an unprecedented opportunity to broaden access to interest-driven and expertise-oriented learning, but this can only happen if young people are able to access these opportunities. Of course, safety and privacy are serious concerns that cannot be ignored. Yet we must help children and parents navigate these concerns without sacrificing access to learning opportunities. Privacy efforts should be pursued in a manner that encourages use of the best technologies available to engage young people and advance learning outcomes. It should also take care to allow for researchers to study and assess youth learning – in a safe and ethical manner – to better understand how we can improve and invest in the future of education for young people. And as the studies cited above show, efforts to cut children off from accessing online opportunities ultimately fail to protect them, especially if children are forced to lie to the platforms and pretend to be older than they are in order to gain access. Such situations result in fewer protections, not more. For instance, if a nine-year-old child lies and says she is 13 in order to access Facebook, she may not feel as comfortable speaking up if another user treats her inappropriately for fear of being caught and kicked off the system. Nor will her privacy be protected under COPPA as it should, since she signed up with an age above the protection threshold. Moreover, policies focused on metrics such as age or commercialization as regulatory criteria can prove disruptive to public-private partnerships for education, making it difficult for commercial websites that are subject to COPPA to collaborate with non-profit sites that are not. For example, it would be very difficult for a local museum website and Facebook to partner on a platform that allows a ten-year old student to bounce back and forth between the two sites posting about his field trip to the museum, especially if he had to lie to Facebook to gain access to an account. This is further complicated when researchers wish to study or track youth participation to assess learning outcomes and provide feedback and evaluation for innovation and improvement. Rather than pitting parents and kids against platforms, we should be bringing them together by setting aside policies that encourage sites to restrict access and instead focus on maximizing access while at the same time helping children and their parents handle the risks appropriately. As with other opportunities that involve some risks, it is important to focus on the key literacies that we all have to learn and responsibilities that come with digital citizenship. Some of these will involve privacy, some will involve ethics, and others will involve appropriate treatment of peers. But it would be a mistake to simply respond to increased access with knee-jerk reactions of fear or assumptions of harm. Online regulations and prohibitions based on a specific age category do not map to either the current architecture of digital networks or the ways in which its users participate on it. 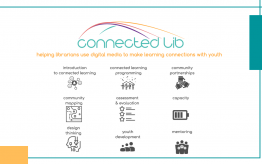 To promote connected learning, we must evolve our understanding and approach to these problems, and ensure that the infrastructures and policies we adopt support successful learning outcomes online.